Whether you are chronically congested or your child picked up a bad cold at school, acupuncture and Chinese herbs can provide the quickest and most effective relief from the symptoms. 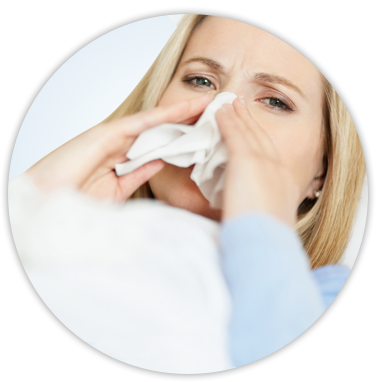 Symptoms that we are very accustomed to addressing at our clinic are sore throat, runny nose, nasal congestion, headache, cough, wheezing, body aches, and fever. As we all know, these symptoms can be due to a number of different causes, such as virus, bacterial infections, or allergies. Oriental Medicine will not only relieve you of the symptoms but will also be able to identify what made your body vulnerable in the first place. Call us today at 919-355-6567 for a free consultation. Learn tips for surviving flu season, boosting your immune system, herbal remedies for children, and more in our blog.